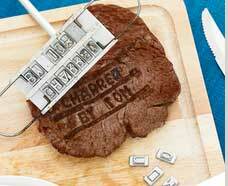 Blog Home > Gardening > DIY Guide to Barbecue Building UK style! 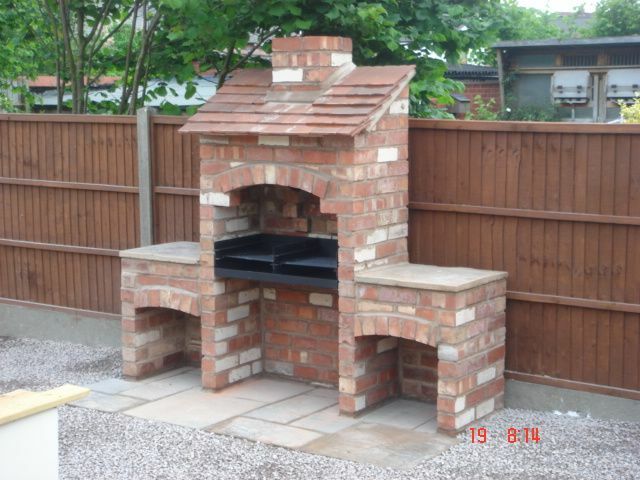 If you have been checking out our new projects and are inspired by the idea of building a brick barbecue in your garden you might want to check out some ideas for how it could look. 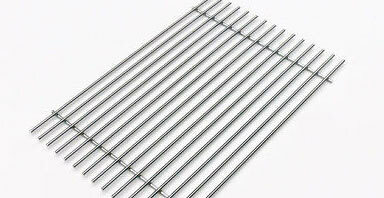 You will of course need to buy some accessories such as a grill and a charcoal tray, you can find lots of examples on the web including designs like this one we found on ebay, in stainless steel which won’t rust in the UK climate! If you are a more adventurous type of cook you might want to add in a more swanky style of barbecue such as this one below which we found on Pinterest. Although you might want to think about some form of cover for the winter/UK summer storms! Or you could add in a charcoal oven to the design – which could be added by simply slotting onto the brick grill holders as described in our building a brick barbecue project. The beauty of this is it can be easily removed and stored away in bad weather. You might want to add in some storage to your outdoor cooking area – you can get drawers and cupboards, bar fittings and even fridges to complement your built in barbecue. We like this option of storage with a gas burner that we found on BBQWorld.co.uk, so you can heat beans or prepare Moules Marinere (depending on your outdoor kitchen prowess). 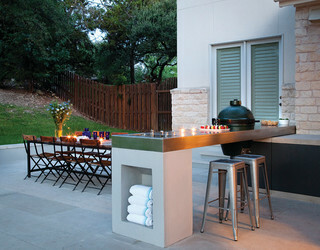 If you haven’t heard about the amazing properties of the Big Green Egg you can read more on their website. 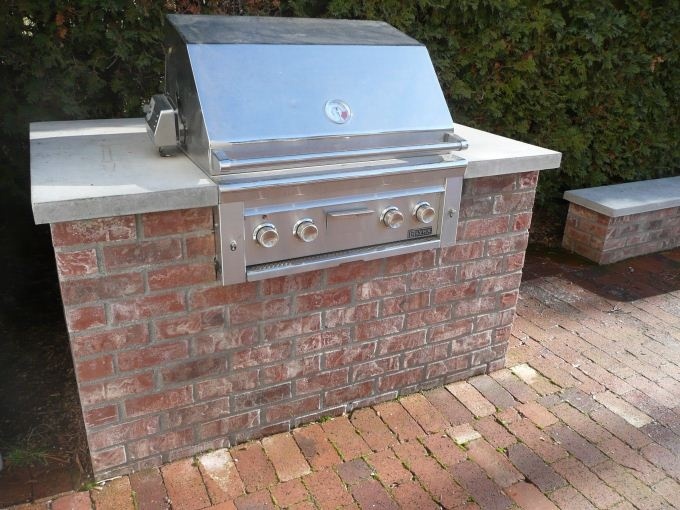 If you have more advanced bricklaying skills then you could go in for more complex designs for your built-in barbeque. You could modify this design that we spotted on Pinterest to have more shelter for the cook, so that they can avoid sunburn or showers! You might be interested in our related DIY Projects Laying Bricks and Blocks and if you want the painted finishes above check out our project on Rendering an Exterior Wall.